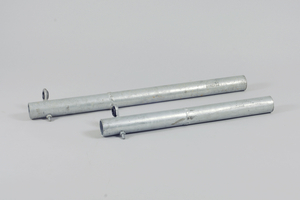 Flag Marker end weight made of hot dip galvanized steel. Its diameter is a perfect fit for the 420cm bamboo or the glass fiber pole. 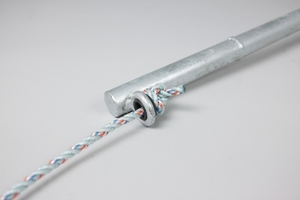 At the top there is a loop where the rope can easily be fastened. The loop has a plastic filling to reduce abration.